What is an iwd file and how do I open an iwd file? A Call of Duty game data file contains source code and other details associated to video games developed by Activision for their Code of Duty line of video game software products. The content of these Call of Duty game data files is particularly used by the Call of Duty 2 video game as reference data whenever a player accesses certain game functionalities that correspond to the data stored in the associated Call of Duty game data file, and the software implements this process to provide the player with the set of features integrated into gameplay scenarios. Another video game developed by Activision that use these Call of Duty game data files is version 4 of the Call of Duty software. The data stored in these Call of Duty game data files may include weapons among other inventory items, graphics, gameplay scripts and digital video clips as well as sound effects among other multimedia content designed into the game. These Call of Duty game data files are stored in the IWP format and are integrated with compression specifications used by the ZIP algorithm. This reduces the size of these IWP files, which are files affixed with the .iwp extension. 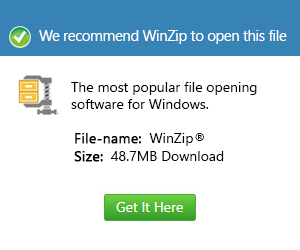 Even if file compression and decompression tools that are implemented with support for the ZIP compression algorithm can be used to open and view the content of these .iwp files, it is not advised to open and tamper with the content of these IWP files.